Just like humans, dogs depend on their kidneys to balance the electrolytes in their blood, filter toxins, and release waste as urine. When infections develop, the kidneys have trouble performing these tasks, leading to a buildup of toxins and a very sick pup. Untreated kidney infections in dogs may result in permanent kidney damage, renal failure, or even death. 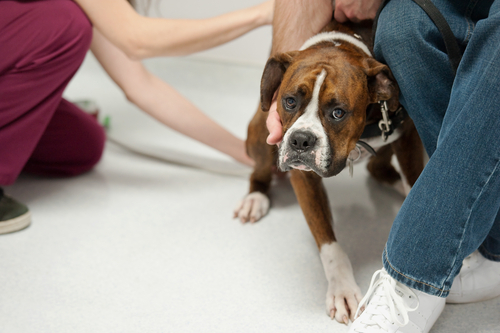 If you suspect your dog has a kidney infection, seek veterinary attention right away. 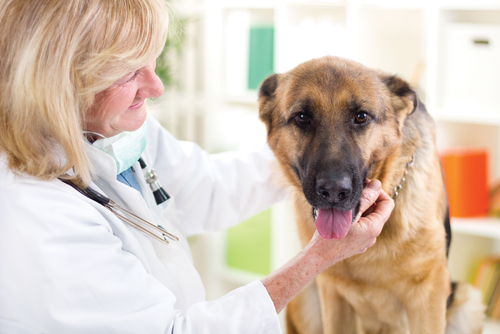 Read on to learn more about the causes, symptoms, and treatments of kidney infections in dogs. What Are the Causes of Kidney Infections in Dogs? Pyelonephritis is the medical term for bacterial kidney infections in dogs. They occur when microbes from the lower urinary tract (urethra or bladder) spread into the upper urinary tract. Common culprits include Staph and E. Coli. Older dogs and those with birth defects or compromised immune systems are at a higher risk for kidney infections. While it is possible for kidney infections to occur spontaneously, they are usually associated with a pre-existing condition such as a bladder infection, partial urinary blockage, kidney stones, or chronic renal disease. 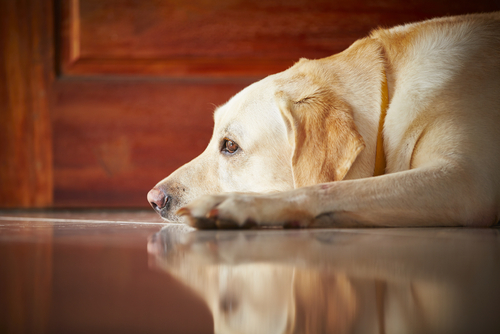 What Are the Symptoms of Kidney Infections in Dogs? If the infection is severe enough to cause sepsis or renal failure, you may observe the following symptoms in addition to those above. Note: If an infection advances to this point, it becomes a life-threatening emergency. The treatment for kidney infections in dogs depends on the underlying cause of the condition and whether or not there is damage to the renal system. Urinalysis and urine culture can help reveal which type or types of bacteria are causing the infection. With this knowledge, the vet will determine which antibiotic to prescribe. 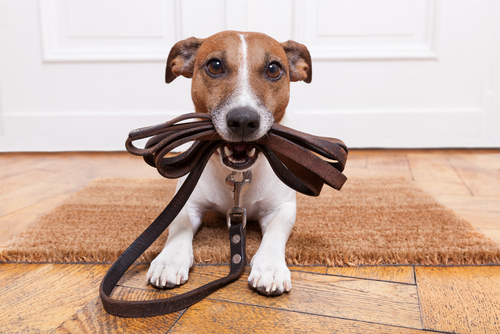 Some vets may also prescribe pain medication or drugs to relax the bladder and prevent urinary spasms. In more serious cases, surgery may be necessary if bacteria or kidney stones are blocking the urinary tract. If kidney stones are present, but not causing a blockage, your vet may opt to dissolve them with dietary changes or break them up with high-energy shock waves. Less invasive than surgery, shock wave lithotripsy (SWL) shatters the stones into much smaller fragments that can be passed out of the body through the urine. Dogs suffering from sepsis or renal failure will require hospitalization, fluid therapy, and aggressive veterinary treatment. Kidney dialysis, blood purification and even kidney transplants are possible, but may require transfer to a specialty clinic. If your dog has a history of kidney infections, your veterinarian will likely recommend periodic physical exams and/or urinalyses. Depending on the cause of the infection, it may help to change your dog’s diet, but only under the advice of your vet. Be sure to provide plenty of fresh, clean distilled water and let your dog out frequently to urinate. “Holding” the urine may contribute to urinary tract infections and renal issues. Distilled water is a better choice than tap or even spring water as it is free of trace minerals and impurities that may cause infections or stone formation.